Wow! It is definitely winter down here. Two of us completely disapprove and we can’t get an opinion from the third because she’s out playing in the “weather”. We’re not sure how she’s related to us – rogue genes, we suspect. Nevertheless, some things were funny, or if not funny, then at least eyebrow raising. Here are five of them. 1. Funny birthday cards. 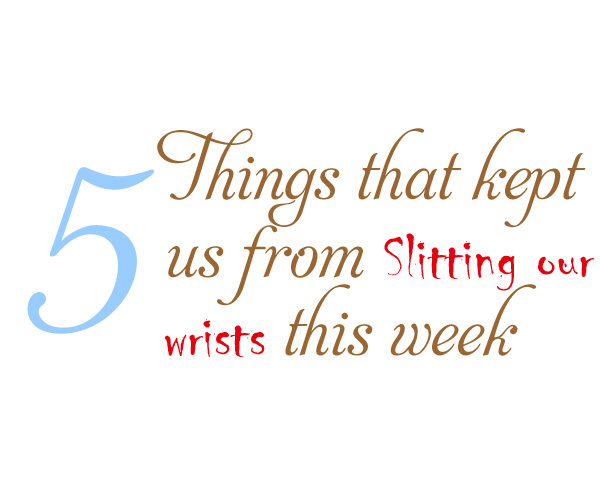 There have been several instances when we’ve shared items from the www.Shoebox.com blog. Those people are hysterical and we want that job. Well, that job and whoever is in charge of naming nail polish. Oh look, now we’re on a tangent. How unlike us. Sister Ava’s birthday arrived, unheralded by the end of the universe we’d like to point out, and she got a particularly funny card that her Sister had been holding on to for months because it was so funny. There are few things more enjoyable then standing in a card store cackling away at the cards all by yourself. Unless, it’s giving that card to someone who will find it equally funny. 2. Naïve men. Something not even a little bit funny happened at work this week and no matter how we spin it we can’t make it funny. The only thing was that a man told us to quit thinking about it, to let it go. Honest to Zeus, it’s like he’d never met a woman before. Don’t let it bother us? We keep looking behind us to see who he’s talking to because surely he didn’t mean us. We live for dissecting conversations for hidden meanings. For the love of Hades, we’re writers. We dissect everything. 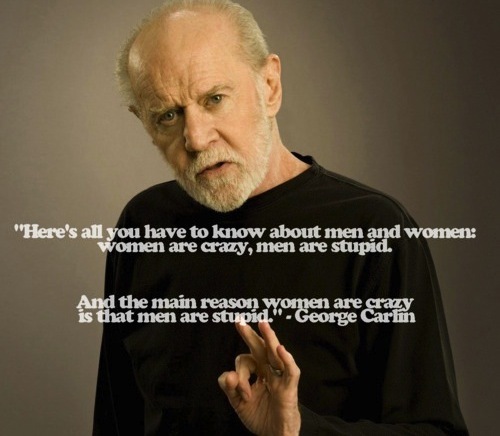 Stupid silly men. 3. Smart women who happen to be beautiful. 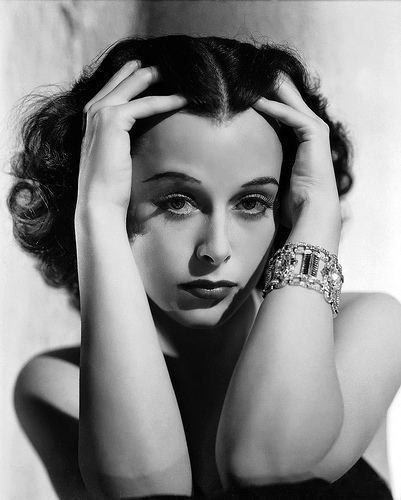 There was an article about Hedy Lamarr on the Internet that we remember hearing about before. Ms. Lamarr was often referred to as “the most beautiful woman in the world” back in her heyday of Hollywood 1930-1940s. Honestly, the woman was scrumptious. And apparently brilliant. She was also an inventor of high tech things that make the internet and cell phones possible today. Even if you point out that she didn’t actually create the tool, and not all by herself, we’d also point out that the concept was hers. There is nothing like the triple whammy of being beautiful, smart and talented. Just look at the Sisters! Muppets movie. Fans forever, we’ve been really excited about it, but life keeps getting in the way. As one of the year’s best reviewed films, you know it’s going to be everything we hope it will be. 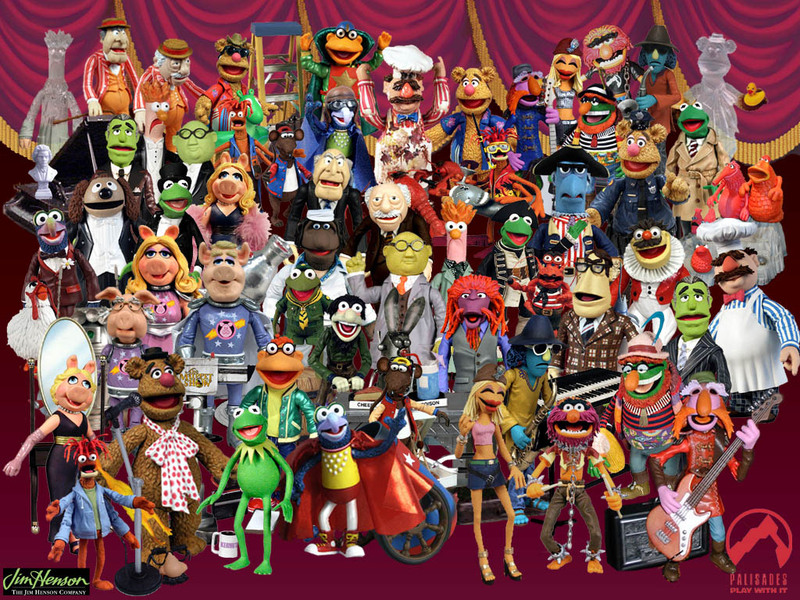 Perhaps that’s what the world needs more than anything: The Muppet Show to come back. Lady Gaga would be outstanding as a guest host. Let’s all get together, hold a séance and bring Jim Henson back. 5. Tree houses. We’ll be honest and tell you that not all of the Sisters share this obsession, but Amylynn keeps bringing it up so we humor her. When she shows us pictures like this, we can understand where she’s coming from. These aren’t tree houses from your childhood, slapped together deathtraps made of rotting plywood and rusty 16 penny nails. 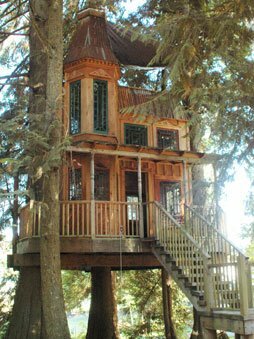 These are inspired, whimsical, fantastic tree houses a grown up could hide in for hours. She can imagine her computer in there with her bulletin boards on the walls, Adele playing on the CD player and magical, lyrical words flowing from her fingers – all while high up in a tree. It’s really a shame there are no big trees in the desert.